We have been personalising and printing baby garments and personalised baby gifts for some time and offer a nationwide online mail order service (online gift shop only). We feel that all babies are beautifully unique so want them to have their own unique garments personalised with their name, just for them. We offer a range of baby clothing for premature, newborn and younger babies. 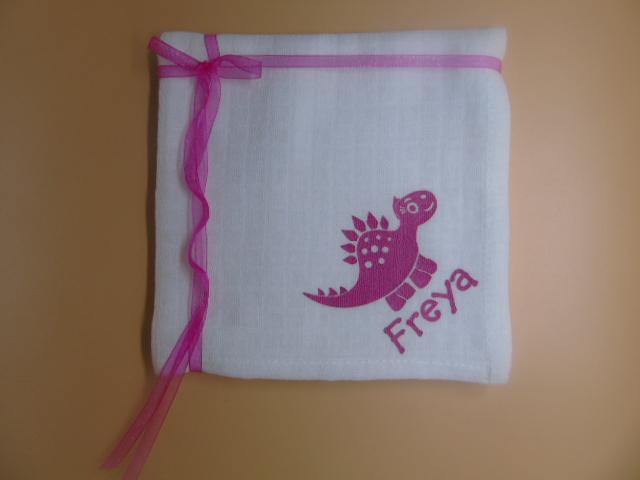 Part of this range is specifically for personalisation and includes babygrows, bodysuits, muslin squares, bibs etc. We can also combine these in our lovely gift box sets which are varied in gift box size and prices but all really affordably as is all our range. all at fantastic prices. We also have family gifts for Mums, Dads, Nannys, Auntys and lots more relative and friends, again all reasonable priced. The gifts are great for birthdays anniversaries, thank you, leaving or retirement or just to please someone. We have tried to make all our gifts affordable without compromising on quality.